31 Pound King Makes a Great Start of the Day! When the Andrew Peachey party went out on the Milky Way on Sat, July 29th, the day got off to a great start with the taking of a 31 pound King Salmon! 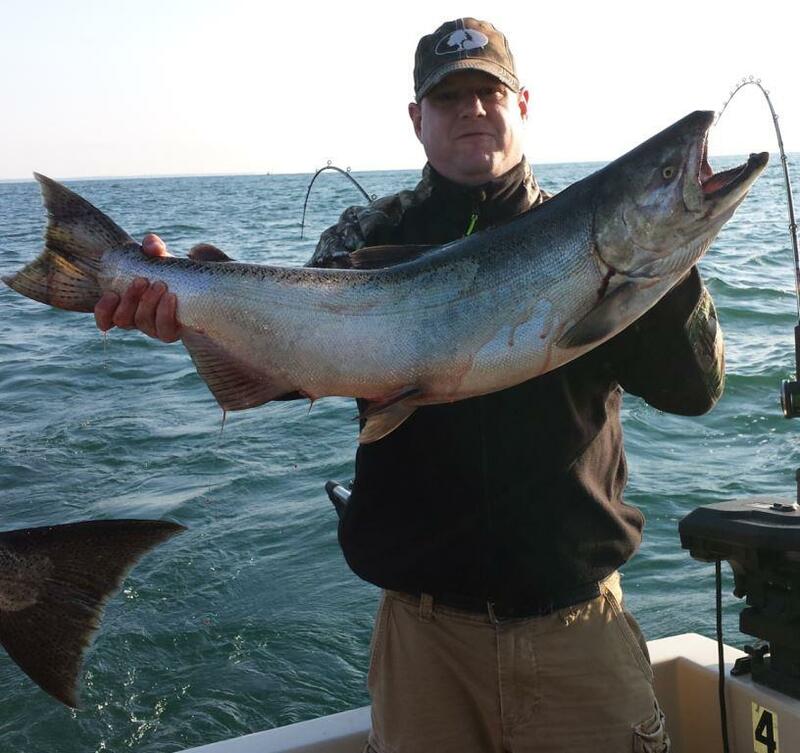 Although that was the only big King that came aboard that day along with a Skipper Salmon, the day continued on with success when the fishing focused on catching Lake Trout. The party got their limit of lakers and went home with a lot of heavy fish in their coolers! 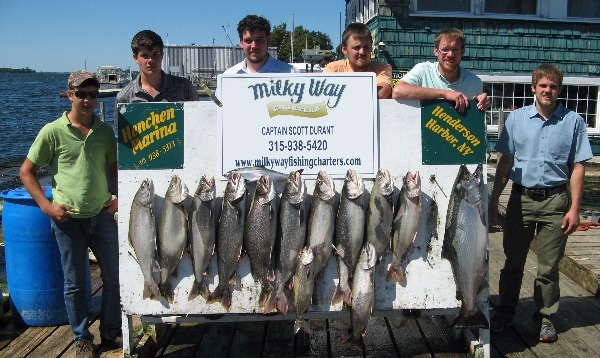 It is safe to say that it was another great day of fishing on Lake Ontario aboard the Milky Way! 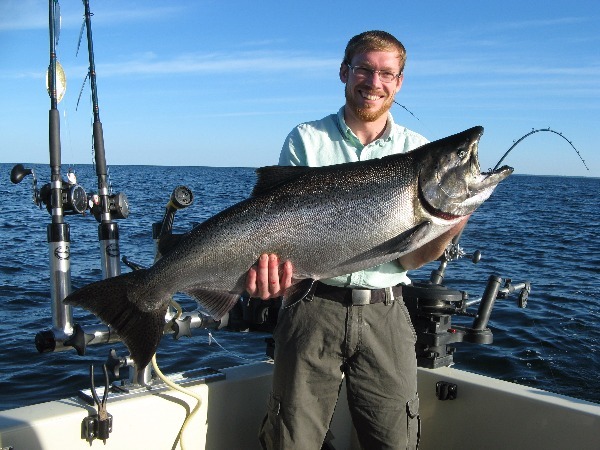 The Shepard Family Limit Out on Lake Trout and Land Two Mature King Salmon! Saturday, July 22nd, Adam and Courtney Shepard with daughters, Jenna and Ashley, tried out their 1st ever fishing trip on Lake Ontario. Fishing Couples Land Lake Trout Limit Along With 4 Skipper Salmon! Friday, July 21st was a great day of fishing for the Alan Pleasant Party. Alan and Gwen Pleasant along with their fishing buddies and friends, Dennis and Sheila Miller, came aboard the Milky Way to try their hand of fishing on Lake Ontario.